While walking several days alone with God in the desert I learned that my greatest JOY in life is just to be alone with God. That is His highest PLAN for me and the underpinning of my life and ministry. It makes me want to reach more people for Messiah Jesus―multitudes from every nation, tribe and tongue―so they can know my Father's love and greatness, and be blessed here on earth … plus live in Heaven with God forever. I must tell them what is happening NOW … and in the FUTURE. I trust this teaching has helped you, and that it will help you to be more empowered by God's love. 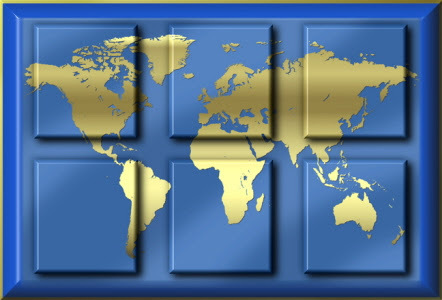 Right now we have an excellent OPEN DOOR before us to train and assist national apostles, prophets, evangelists, pastors and teachers in the international community. If you want to be part of this UNIQUE EXPLOIT, read the “Opportunity” below and work with us. *** Torah: Numbers 1:46 603,550 men age 20 and up + 1 woman for each man = 1,200,000 parents + 3 children for each family (probably more) = 1,800,000 children + 1,200,000 parents = 3,000,000 people left Egypt at the Exodus and wandered in the wilderness for 40 years. I want to talk to you today about How to Commit Murder - or - The Tongue and the Titanic. I used to live on my boat. It was a sloop and had excellent turning capabilities. Generally, the rudder of a ship should be 1/70th of the size of the hull. And, there is a formula used by naval architects to calculate the area of a ship's rudder: AR = K x LBP x d (m2). The rudder of a ship guides it through the waters; it determines the ship's directions. It is the same way with your rudder: your tongue. It guides your life and determines the direction you travel … plus it determines in great extent what comes into your life because you're passing through those charted areas you predetermIned by your speech. “Death” words discourage: they are destructive and debilitating; they impair one's strength and make weak or feeble. “Life” words encourage: they minister hope and potential; they provide encouragement and a reason for continued perserverance. If you want to win in life, make a decision to live … and to help others do the same with your words! Your words influence direction for you … and for others. It has been said that a person has two voices: the one they use at home and the one they use with others. Example: Do you speak to your Rabbi or Pastor the same way that you speak to your spouse or your children at home? April 14-15, 1912, the British luxury passenger liner, Titanic, sank en route to New York City from Southampton, England during its maiden voyage. The vessel sank with a loss of about 1,500 lives. It's rudder directed it into an iceberg. Our beloved brother James – comparing the tongue to a ship's rudder – also tells us, “Even so the tongue is a little member and boasts great things. See how great a forest a little fire kindles.” (James 3:5)Many times I have seen where thousands of acres of beautiful forest land have been destroyed by a small campfire. The word used for “fire” in the original Greek language is the word “pur: which means more than just regular fire, it means “lightning.” Your words have the power to burn people! In the Guiness Book of World Records – and confirmed by GPS – Craig Harrison of the UK’s Household Cavalry killed two Taliban insurgents from a distance of 2,474 m / 2.47 km (8,120 ft, or 1.54 miles) in November 2009. It took the 8.59 mm rounds almost three seconds to hit their targets, which were 914 m (3,000 ft) beyond the L115A3 sniper rifle’s recommended range. A third shot took out the insurgent’s machine gun. The rifle used was by Accuracy International. I mentioned this “sniper kill record” to let you know that your words can kill worldwide. Fire can hurt other than through your tongue – it can hurt people through your fingertips – for example, through E-mail or social media. I know what you're thinking. You're thnking, “Well, if the tongue cannot be tamed WHY are you teaching on this?” My answer is, “Because we can learn to discipline ourselves.” That's why James said that if we don't stumble in our words (James 3:2) we are mature and able to “bridle” the whole body – a bridle directs a horse like a rudder directs a ship like a tongue directs a life. Monitoring your words may seem difficult at first, but it will help you to progress in right living. Learn to speak well of others – even if they don't speak well of you – because: 1. slander issues out of demonic, worldly wisdom; and, 2. God is the Judge. I recommend you study my teaching, Don't Let the Little Dogs Bother You (How to Shake Off Liars and Gossips) because it will help you to see immensely the inner workings of such evil. 1. Learn not to speak rashly. Zip your lips! 2. Pick your battles. Know when to hold them and when to fold them! 3. Speak life. Be a minister of the sanctuary. Karen died at the age of 33 of heart failure caused by anorexia nervosa in the city of Downey (Los Angeles area) where I still have an office. She had struggled for eight years with chronic anorexia. Karen had been down to 79 pounds in weight, and started back up to 110, but died one year later. What most people don't know is this: A radio personality one time referred to Karen as “Richard's chubby little sister.” Those words went out into eternity with Karen. Words determine direction – they're like fire – and they must be guarded. Words go out into eternity with blessing or cursing … with life or death. Search for other books here: Prince Handley Books Live a life of excellence! Well, finally about 18 months later I was working on the lawn and the wife came downstairs and told me, “I'm pregnant.” I was so excited that I ran around a whole city block praising God. It took me about, probably, 7 to 10 minutes. When I returned, the wife was crying because she thought that when she told me she was pregmant I ran away!! Well, I have had seven (7) children since then! One time, two of my daughters cut my hair – more correctly a hole in my hair - while I was sleeping. That was really a wonderful experience because I had to speak at a meeting in about two hours. I wonder what – not only sins, but stupid things - we have done to our LORD who stills is pleased to call us His children. Messiah Yeshua did an unassisted triple play on a man who was: 1. Demon possessed; 2. Blind; and, 3. Could not speak. Immediately, the religious leaders accused Yeshua of casting out demons by the Prince of demons (Satan). Jesus answered them, “How can one enter into a strong man's house, and spoil his goods, except he first bind the strong man? And then he will spoil his house.” In other words: bind Satan first, then go after his demons. Go after the demons who tell lies about you, or attack your finances, or your integrity … or who try to hinder you in anyway. Bind the strong man (Satan) and cast him out along with his demons that try to hinder you. I realize many people reading this posting live in countries other than USA. However, this message is extremely relevant to all readers. In the vision I saw a band of paramilitary men in black uniforms and face masks with assault rifles. They were standing guard, taking over, a local community shopping area. It could have been a downtown metropolitan shopping area . . . or a small town local community shopping area. There were about eight or ten of them. I was made to KNOW in the vision that this was in the USA. They had their weapons ready at waist level with straps around their shoulders. One of the men [citizens] in the crowd resisted, and said: “This is the USA and you cannot do that here; this is our country!” Immediately one of the paramilitary men walked to the man, aimed his assault weapon at the man’s face with the end of the barrel about three inches from the man’s face, and shot at him. Nothing came out of the weapon but air. After that statement, I grabbed an iron bar and started after the man. He then jumped into a cement stairwell, or encasement. I began pounding into the stairwell to attack the man, attempting to strike him; however, he never came out. I then began to challenge the other paramilitary men. They were powerless. 1. The Western and European church. 2. The persecuted church (most of which is underground). 1. The evangelical soul winning church (having some members from all arenas of Christendom: Protestant, Catholic, non denominational, transdenominational, independent, non affiliated, house church, cell groups, and underground churches). These are militant spiritually, but NOT physically, operating in the Spirit of God. 2. The fundamentalist Islamic factions (such as Wahabi and terrorist groups). These are militant physically, operating in the spirit of Satan. The purpose of the enemy in Islamic fundamentalism is to QUIET . . . or STOP . . . THE VOICE of Christian witness, especially the Good News, but also including all types of freedom. Islamists have NO joy. Their services do NOT manifest shouts of praise or exuberance. There is NO animation or liveliness in their services, because nothing about which to be animated. You know a tree by its fruit. Islam kills, binds, tortures, and oppresses. This is the fruit of Satan. The message of the dream is this: Do NOT let the enemy STOP your voice . . . (or your shout, for that matter!). If you lose your shout, you lose your victory! Several forces are at work in the USA to stop FREE speech. Political correctness is one of them. Already, in Canada and New Zealand there are laws in place to prohibit speech (even from houses of worship) against such things as homosexuality and false religions. First, start with intercession daily, and fast as the LORD leads. Second, resist with your words. Never let the devil quiet your voice. When Peter and the apostles were released from prison by the angel of the LORD, they then went into the Temple and preached. The last great bastion of Christian freedom is in the USA. However, the persecuted church in Communist, Islamic, Asian and third world countries is growing rapidly because of bold witnesses who are willing to face death, extreme persecution, and torture, if necessary. The old adage at weddings, “Speak now, or forever hold your peace,” is quite applicable in this situation. Speak to Satan (bind him) from taking inroads into your family, nation and community. Speak out and witness for Christ. Speak out to community leaders and vote. Speak in prayer and loose the Holy Spirit as a standard against the evil one and his forces. In the olden days, the standard bearer always began the battle by first attacking (striking at) the enemy. The Holy Spirit of the God of Israel is our standard bearer, and we can loose Him to strike first. In the dream vision of the night, I went out to attack with iron: symbolic of the sword of the LORD. The enemy can NOT stand against the Word of God and the Holy Spirit. Go out against the enemy with the ANOINTING and the WORD OF GOD. THE ANSWER: If the USA - and this applies to Israel, also - will let the Holy Spirit be their banner, or standard, God will give victory. Any community, or country, or government who does NOT allow the Holy Spirit to be their banner will fall. It is time to be militant in spiritual battle as well as in soul winning. If you have a friend who is sick or demon possessed, tell them about The Healing and Miracle Podcast: www.healing.libsyn.com. or consult the Archives at top right. Knowing WHEN to speak out is a quality [or, byproduct] of wisdom. It is a secondary, and sometimes unexpected consequence. I have a friend whom I’ve known for over 50 years. He and his wife and children are wonderful Christians. My friend had never been to church as a young boy. We attended the same public schools for 12 years. One day, in the 8th grade, the teacher was expounding about the so-called “marvels” of evolution. I stood up and said, “The Bible says that God made man.” About 15 years later, my friend told me he had never forgotten what I said that day in the 8th grade, and it was instrumental in him becoming a Christian. The Bible teaches us that “the spirits of the prophets are subject to the prophets.” (1 Corinthians 14:32) This passage has reference to the human spirit. The Greek word for “subject” here used is the word “hupotasso” and means “to subordinate; be under obedience, or submit [oneself] to.” However, the Holy Spirit is NOT subject to the prophets: neither to an inspired speaker, nor to one who is foretelling. “Then he said to them, "Nation will rise against nation, and kingdom against kingdom. Be ready for the Holy Spirit to make you bold in these days before His reappearing to Planet Earth. You will experience miracles - real miracles! AND CAUSE YOU TO BREAK OUT AND MAKE YOU PROSPEROUS. Knowing WHEN to speak out is a quality ... or, byproduct ... of wisdom. It is a secondary, and sometimes unexpected consequence. I have a friend whom I have known for over 50 years. He and his wife and children are wonderful Christians. My friend had never been to church as a young boy. We attended the same public schools for 12 years. One day, in the 8th grade, the teacher was expounding about the so-called marvels of evolution. I stood up and said, The Bible says that God made man. About 15 years later, my friend told me he had never forgotten what I said that day in the 8th grade, and it was instrumental in him becoming a Christian. The Bible teaches us that the spirits of the prophets are subject to the prophets. 1 Corinthians 14:32. This passage has reference to the human spirit. The Greek word for subject here used is the word hupotasso and means to subordinate; be under obedience, or submit oneself to. However, the Holy Spirit is NOT subject to the prophets: neither to an inspired speaker, nor to one who is foretelling. Proverbs 28:1 tells us, The wicked flee when no man pursues; but the righteous are bold as a lion. The Hebrew word here used is batach and means figuratively to trust, be confident, be bold, ... and, sometimes ... be careless. Nation will rise against nation, and kingdom against kingdom. There will be great earthquakes, famines, and plagues in various places. There will be terrors and great signs from heaven. Settle it therefore in your hearts not to meditate beforehand how to answer, for I will give you a mouth and wisdom which all your adversaries will not be able to withstand or to contradict. Be ready for the Holy Spirit to make you bold in these days before His reappearing to Planet Earth. And the Spirit of the LORD will come mightily on you, and you shall prophesy with them, and shall be turned into another man or, person. - 1 Samuel 10:6. The Hebrew word used in the above passage for come is the word tsalach and means both literally and figuratively to push forward, to break out, to be profitable, to make prosperous. THE HOLY SPIRIT IS GOING TO PUSH YOU FORWARD, AND CAUSE YOU TO BREAK OUT, AND MAKE YOU PROSPEROUS. CALL TO ME, I WILL ANSWER YOU & SHOW YOU GREAT & MIGHTY THINGS YOU DO NOT KNOW! Apostle Handley describes how he first claimed the promise from the Bible in Jeremiah 33:3 and the MIRACLES that then started to happen ... and have through 40 years. 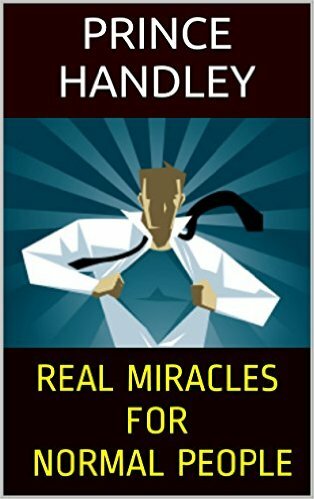 Prince Handley tell YOU how you can experience real miracles by claiming this promise for the situation you are facing today. 1. Go to your aggregator ["podcast catcher"] and click on "Subscribe" ... or "Add New Podcast." 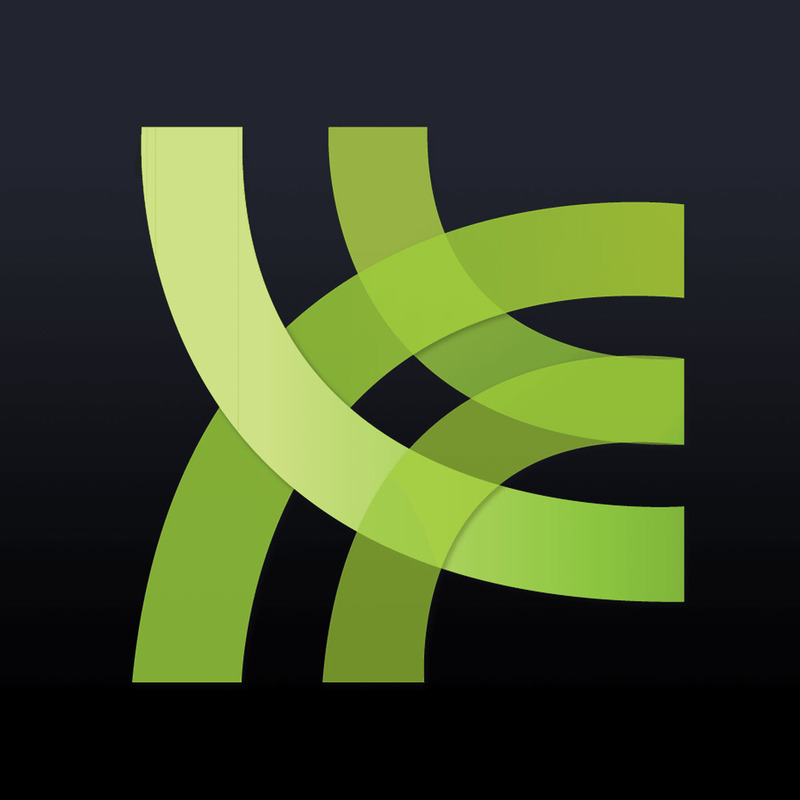 Note: Your aggregator might be iTunes, Yahoo, Juice, Google, MSN, AOL, etc. 2. Copy this URL (in RED) podcastsatellite.libsyn.com/rss and paste it into the "Subscribe" box. 3. In their "Directory" check instructions to search and obtain recent and all NEW podcast editions (shows).